What is our beautiful game like at the lower levels in 2015? With the multi-billion pound Premier League television deal will the rich clubs just keep getting richer or can some of the money filter down the pyramid to assist youth sides develop players and Sunday sides exist in the current financial climate? A look at two of the local Sunday leagues we can see a drop in numbers in both which is, unfortunately, mirrored in most leagues around the country. In the ORC Sports Waltham League there were 55 teams in 2009/10 which is now down to 30 for the current season. Also in the Essex Sunday Corinthian League there were 47 teams in 2003/04 which had reduced to 30 for the 2014/15 campaign. 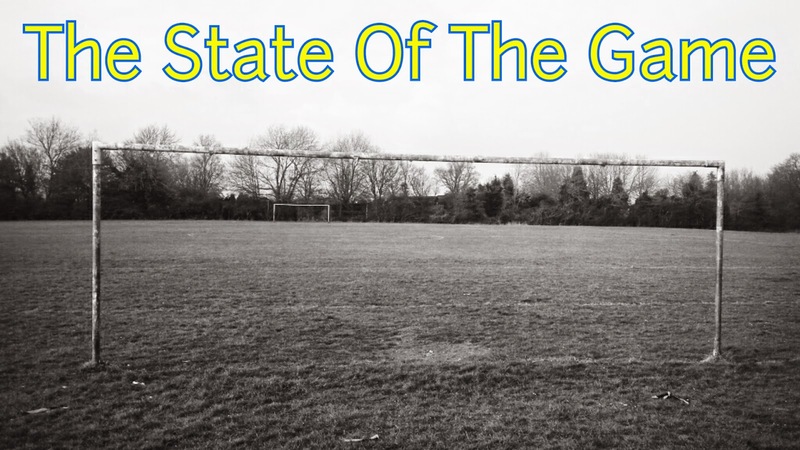 Here is part 1 of 'The State of The Game' The Cold End speaks to Dean Wigzell who doubles as club Secretary and Manager of Barnet Sunday League side Hornsey and Highgate along with Ricky Eaton who has managed and played for Essex Sunday Corinthian side Greengate since he formed the team in 2003 and is also joint manager of Ryman Division One (North) side Redbridge. HOW LONG HAVE YOU BEEN INVOLVED IN THE GAME/WITH THE GAME? YOUR FOOTBALLING HISTORY? RICKY - For 22/23 years now as I started from the age of ten. I started playing football for a local Sunday side back in 1992 and have not stopped since. I have been involved with Men's football since the summer of 2003 where I created, managed and played for a very successful side called Greengate of whom still play for today. I have for the last few years been involved with semi pro clubs at step 4/5 of the national football pyramid system. 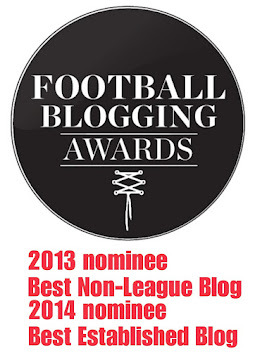 DEAN - I've been coaching grassroots football for 11 years now. 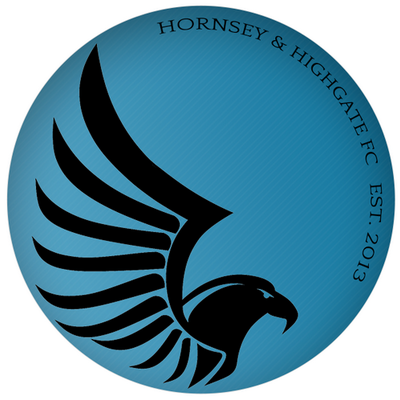 I started at the age of 15 coaching for a local youth team, went off to University in Brighton to study Sports Coaching and then came back to London and started Hornsey & Highgate FC 2 years ago. 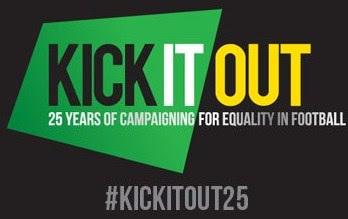 HOW CAN THE FOOTBALL ASSOCATION HELP CLUBS/TEAMS AT GRASS ROOTS LEVEL? RICKY - I think they can help by investing more money into deprived park pitches and areas where football is being played. I also believe they could help by reducing costs on affiliation, discipline and also help with keeping league fees at a much lower rate. Clubs have a massive layout at the start of setting up for the season and no help is given to reduce or spread the costs out over a longer period of time. DEAN - Clubs at grassroots struggle due to finding the correct funding in order to maintain their survival. We have been fortunate enough to receive help from our new sponsor MoneyWise Haringey, their help has enabled us to freeze our fees this year despite needing new kits and equipment. With the amount of money in football I feel that an increase in the availability and variety of grants for grass roots clubs would be a good start to helping. The FA obviously have their running costs and therefore need to charge their fees etc, however I do think that clubs should see a greater return for their money. CAN YOU AFFORD TO GO TO A PREMIER LEAGUE GAME? WHAT CAN BE DONE TO STOP PEOPLE BEING PRICED OUT THE GAME AT THE TOP LEVEL? RICKY - I feel The FA need to introduce a ticket price cap to help bring the prices down and keep them down before more and more people get priced out of the game like many people have been recently. I am more fortunate and I still go to a few games here and there. DEAN - I've had a season ticket at Spurs for the last 10 years but I am having to give it up this year as I can no longer afford it. Clubs have to lower prices drastically to prevent people being priced out of the game. When you look at some of Europes top clubs like Bayern, Dortmund, Barcelona etc; they are charging less than some League 1 and 2 teams which is absolutely crazy. Hopefully this new TV deal that the Premier League is receiving will enable clubs to drop their prices. RICKY - At the Top level it is the infrastructure and television exposure, the detailed analysis and quite frankly the money invested into each club allows clubs to really invest into anything they wish and really push on. At step 4/5 it is definitely the people behind the clubs that volunteer and invest their time into the clubs to help progression. With this level you can really see the hunger and determination on the players faces to succeed and you get a feel of the real game. Also the youth players get the opportunity to excel without being blocked by an overseas youngster. At Sunday level the best thing is everyone wants to just enjoy themselves so you get to see the fun side of the game as players tend to relax more and showcase their skills on a more regular basis making it more enjoyable to be involved in. DEAN - Football is such a simple sport but the way that it is able to play with your emotions is something special, you can experience the whole spectrum in an hour and a half. That coupled with the way that it can bring people from all walks of life together. An example for me was being at the game when Fabrice Muamba had his heart attack, the reaction from the fans in the stadium that night was mind blowing. The guy who was sat next to me was at his last ever game before moving to the States, we stayed in touch after that. At grass roots level, I think the best thing is definitely the people. Freezing cold, rain, mud but people still find it in themselves to get out there and get a game on. We play in the Barnet Sunday Football League, and the league turns 50 next season. The committee are phenomenal- the amount of work that goes into running the league and all on a voluntary basis. It's those people that make grassroots football so special. RICKY -Top level; it is the lack of interest/investment to grassroots where each pro started and the amount of foreigners blocking the country's brightest and biggest talents. At Sunday level it is the lack of funding on pitches and changing rooms. The level of officials (ref's) below the professional game is very inconsistent and frustrating for players, staff and supporters. DEAN - Apart from the greed, one thing that really bugs me about football is the Champions League and the impact it has on fans expectations. As a Spurs fan, we had one great season in the Champions League but now as a result of that there is this ridiculous arrogance amongst a lot of our fan base that expect us to be there every year and also be turning teams over week in week out. At our level the worst thing is the cost of facilities. We've had a few games cancelled due to poor weather this season and when trying to find a 4G astroturf pitch to play on instead we were quoted upwards of £100 for one game. It's just not feasible to fund this on top of the £650 a season we pay for our home pitch. ONE THING THAT COULD BE DONE TO HELP YOUNG PLAYERS DEVELOP BETTER AT A YOUNG AGE? RICKY - I have actually seen a indication of a brighter future by making children play in small sided games on smaller pitches for a longer period of time. Smaller pitches means more touches and quicker progression in my opinion. DEAN - As I said before I studied Sports Coaching at University and I wrote my dissertation on exactly this. In this country in particular I believe we have a very poor outlook on developing our youth. Yes, the new academy system has been put into place, but more needs to be done to help the kids out there on park pitches. In countries like Spain and Holland, youth coaches have to be as qualified as top level coaches, whereas in England the FA Level 1 is all that is required. The Level 1 is only really ever failed if you don't turn up to the exam. HOW MUCH DOES IT COST TO GET A GAME ON IN RESPECT OF PITCH FEES/REFEREE FEES ETC? HOW MUCH HAS THIS INCREASED OVER THE YEARS? RICKY - A game will cost anything from £85 to £155 and that's just for the pitch and referee. That's without buying kits, balls, nets, corner flags etc add to that the league and FA fees for registration and affiliation and it becomes very clear why there has been a decline in grassroots football. Ten to twelve years ago a game would of cost £65- £100. DEAN - Our annual pitch costs average out to £65 a game and then the referee is £35 (which is split between both teams). We are only 2 years old as a club so we haven't seen an increase in these costs yet. REFEREEING STANDARDS - ARE THEY GOOD, BAD OR JUST ABOUT RIGHT? IS THERE ANYTHING THAT CAN BE DONE TO IMPROVE OR HELP OFFICIALS? RICKY - This is a very difficult one. Most referees in my opinion just lack consistency at both step 4/5 and Sunday level. The overall level is okay and mainly good however consistency is where I would like referees to brush up their skills on, it is very frustrating when officials are consistently inconsistent. DEAN - With everything there are good games and bad games. We have been on the receiving end of a few terrible decisions this season but it's a thankless task really. I think teams should be allowed , and be made to feel comfortable, to give feedback on referees performances, both good and bad. I also feel that even though we are asked to grade a referee, many clubs would feel that there is no point issuing a score low enough that requires a written supporting statement as referees are very protected. I complained about one referee last season as I felt he was endangering both sets of players through his lack of control but my complaint didn't even receive a reply. One example from this season, we played against a team who were blatantly time wasting, one player faked injury to do so and also verbally threatened the referee. At least 8 minutes had been wasted with this faked injury and the referee added 3 minutes stoppage time. When I asked him at the end if he would explain why he hadn't penalised them for such time wasting his response was 'I'm not explaining to you, go away, I don't care!'. ONE THING YOU WOULD CHANGE ABOUT THE GAME AND ONE THING YOU WOULDN'T? RICKY - I would like to change the image of the game. There is a saying I heard a while back and unfortunately it has some truth to it 'Football is a gentleman’s game played by thugs and Rugby is a thugs game played by gentleman' if we could get footballers behaving respectably to officials at all levels then I believe the level of performance of both players and officials would also increase although I would not change the shape of the ball. DEAN - One thing that I wouldn't change about the game is Grass Roots football. It is football in it's purest and most enjoyable form when you get it right. 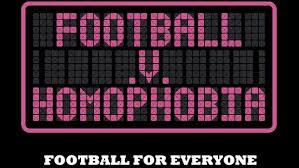 I'd change the imbalance in professional football. Fans pay their hard earned wages to watch these games but increasingly receive very little in return. More needs to be done to make the fans feel valued. Home games are played in Highgate Woods off of Muswell Hill Road just near to the Archway Road and Highgate Underground station. Greengate FC are top of the Essex Sunday Corinthian League Premier Division winning 14 of their 15 games played so far. They travel to Warren United next Sunday and have another game scheduled for Sunday 19th April when they play at home also to Warren United. They play their home games at Eastlea Community School in Canning Town, E16. Great post. Look forward to the rest.